Trainers, sneakers… call them what you will, but sports shoes aren’t going anywhere. And it turns out that the trends change as quickly as everything else we love to wear. As they’re now a staple for everyone’s wardrobes, we’re keen to know what we should be investing right now. But as we don’t have a fashion crystal ball (although that would be fabulous), we turned to expert Emily Gordon-Smith, head of fashion at Stylus, an innovation research and advisory company that gauges consumer behavior to work out just what people might be shopping for in the future. Thanks to Gordon-Smith, we know the five key sneaker trends everyone will want to be seen in. Keep scrolling to find out what you need to invest in now to stay ahead of the trainer game. But, what sneaker to choose? I have conducted my research on the latest trends and compiled a list of our favorite sneakers for women below. 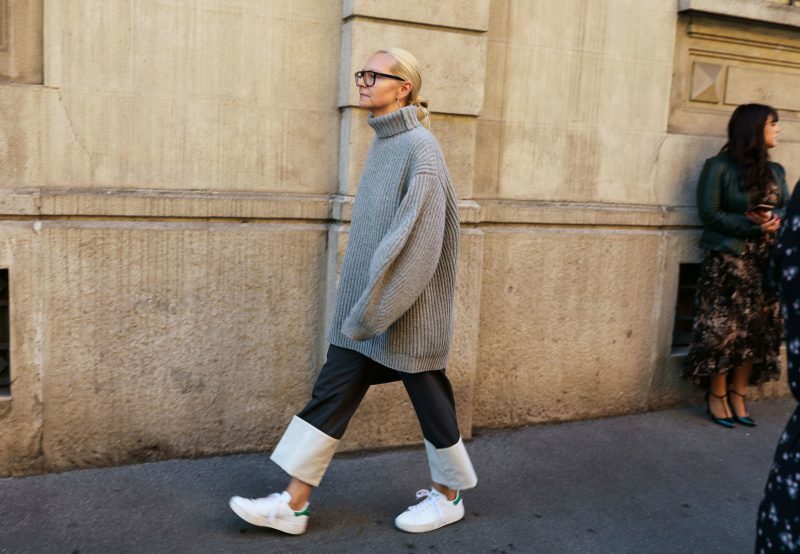 Muted tones and exaggerated soles are so much in right now. A look that remains relevant and popular is the white sneaker, which will be rebooted with an exaggerated molded sole that creates an overblown silhouette. A muted palette of whites, pastels, and some metallics will offer an ultra-modern look. Detailing will be kept to a minimum, featuring only subtle touches like a bias frill. It’s very important to sport for fashion, not fitness. In the U.S., 75% of sneakers are bought for aesthetics and lifestyle rather than performance. Authenticity is key here, with designs staying true to classic sneaker styles and colours (blue, red and white) while being sympathetic to the wider trend towards ‘sports for fashion, not for fitness. The ’90s influence fails to waiver. Nostalgia will continue to influence sneaker design, feeding also into our first and fourth trends. The ’90s was known for its over-the-top, chunky trainer silhouettes (think Steve Jobs’s footwear) and neon flashes. Brands will offer colourful, playful looks and exclusive collaborations like the one between Reebok and Lisa Frank. “Ugly” Sneakers fashion is back, and it’s here to stay, extending. We’ll see designers tapping into TV pop culture from the ’90s and ’00s, giving nostalgia its biggest reboot. Clunky is in, along with dirty, greyed-off finishes. Embraced already by luxury brands like Balenciaga and Gucci, we’ll see this look filter down into the mass market, influencing clothing too. Female sneakerheads take center stage and we love it! Female customers will become the priority for many of the big sneaker brands and for the long haul. We’re seeing a growing female sneakerhead community emerge, which is driving how product rereleases are engineered, influencing design and a move towards unisex styling. Kicked off by Puma x Fenty, this trend—a huge area of growth—will keep gaining momentum. Trainers are having a fashion moment, and we’re not talking about gym-wear. Gone are the days of boring, uninspired sports uniforms. 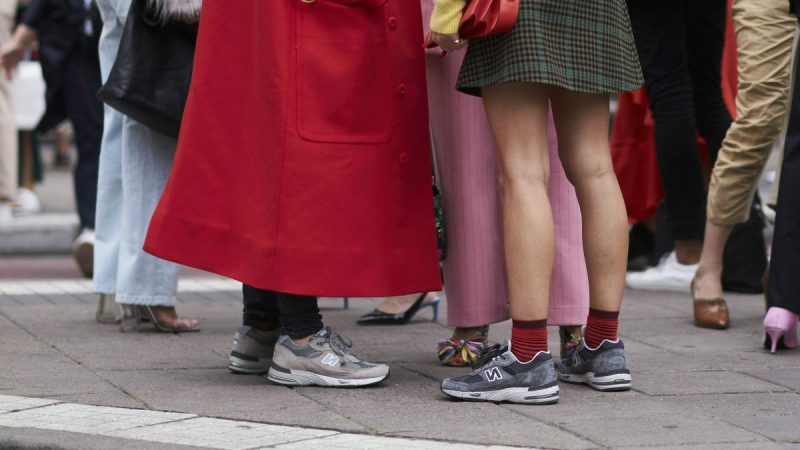 With designers like Karl Lagerfeld and Raf Simons dressing up sports shoes and athleisure on the tip of everyone’s tongues, it’s safe to say that trainers are officially here to stay. We’re surprised it took this long – they’re comfortable, affordable and are an easy way to dress down an outfit without sacrificing style. While they’ve generally been a favorite of the urban style crew, big retailers like H&M, Zara and more have been gradually introducing slick new versions into their stores and everybody owns at least one pair now. They go with almost everything – jeans, cropped trousers, summer dresses. As with the rest of the fashion world, footwear isn’t impervious to the ebb and flow of trends. Pastel shades – including the inevitable millennial pink – bring a softness and femininity to classic shapes, making them the perfect addition to a denim dress or full skirt. There’s also been a lot of buzz around metallics in rose golds, silvers and gold lame, which will give you a reason to work on that fancy footwork. When in doubt, however, you can never go wrong with a classic white sneak. Balenciaga completely changed the game this season though and brought back a style we never thought would see the light of day again: dad trainers. Love them or hate them, they’re here to stay and we spent a VERY long time trying to find the last Balenciaga pair available online. You’re welcome. In previous years, the sneaker held its role mostly in the athletic arena. People turned to sneakers for comfort and function when working out, running, walking, or participating in sports. Now with the rising popularity of athleisure, sneakers have taken a role as an everyday shoe and a fashion statement. In fact, now some people own several sneakers that serve their own individual purpose – this can range from a go-to running shoe to a designer sneaker. 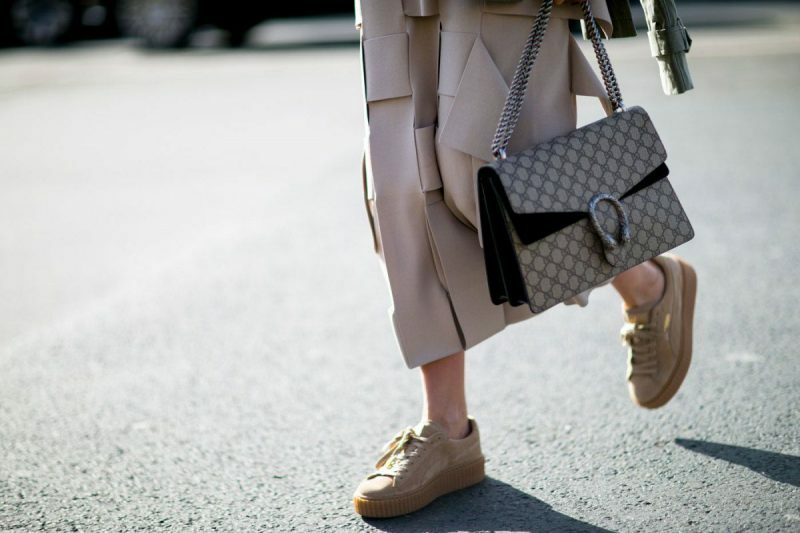 Women are even pairing sneakers with dresses and skirts- and not just for their daily commute. Sneakers are being worn on many occasions – from a workout at the gym to dinner with friends. The season of the sneaker makes the orthopedic sneaker look appealing and ensures ultra comfort.